Hello, my name is Jip. 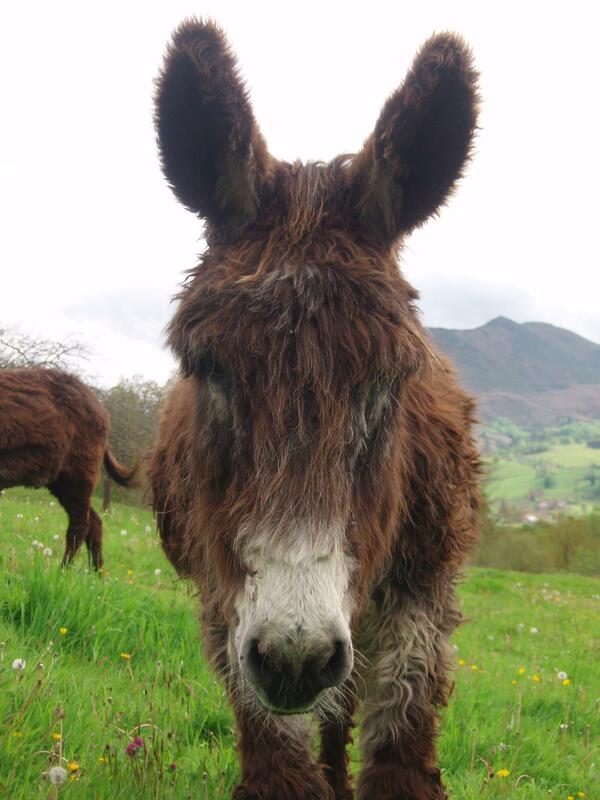 It is nearly my time to leave this world, so I have decided with the help of my good friend Catherina, who is a volunteer here at Paraiso Del Burro to translate my story from donkey language to English so you can read what I have to say about chapters of my life…. I am 41 years of age which in donkey age is quite old. Before I came here, for part of my life I lived with a group of cows on a farm. I worked on the farm with helping to carry loads in a cart and general farming duties. At the age of 30 I went into retirement as I started to suffer from Osteoarthritis which is a degenerative joint disease as a result of trauma to the joint, infection of the joint or a normal result of aging. It is also caused by wear and tear on the joint. Cartilage is a firm rubbery tissue that cushions your bones at the joint and allows bones to glide over one another. If the cartilage breaks down and wears away the bones rub together. This causes pain, swelling and stiffness. The ligaments and muscles around the joint become weaker and stiffer. As you can see I am quite knowledgeable about osteoarthritis, because of my retirement I had extra time to read up on the subject! Although it seemed alright, I did find it difficult as being a donkey I did not speak cow language and felt a longing for living with other donkeys. We are a type of sociable animal and build up a very close bond with one another. So as I lived each day and accepted my cow friends, I dreamt of pastures new and felt the need to travel a bit more. I feel I am a wanderer of sorts. My dream came true one day when this friendly Dutch woman called Marleen Verhoef came to see me. She said she had a sanctuary and wanted to know if I would like to come and live at her place where there were other donkeys too. I felt so excited and felt such happiness inside. Marleen said she would come back and collect me in a few days. 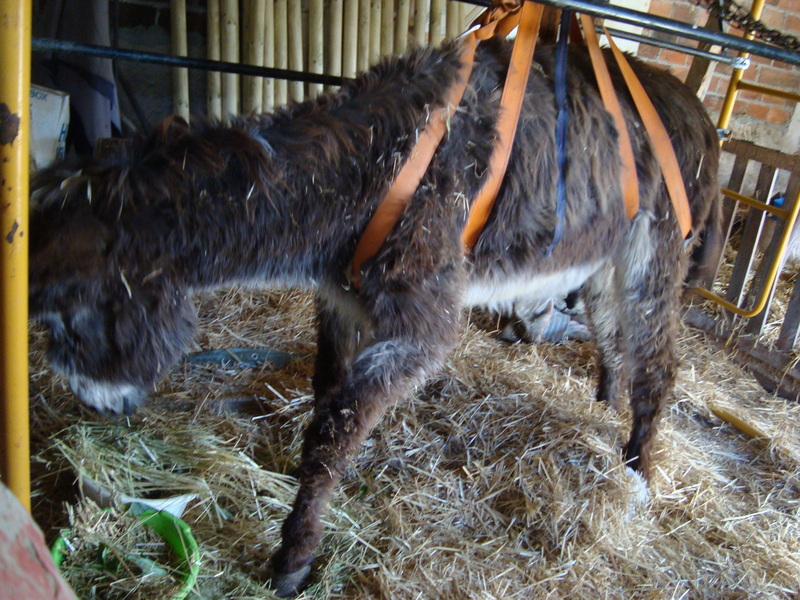 Then the day came and Marleen returned and I got into the donkey trailer box. We travelled for quite a distance but I didn’t mind that, as I was able to look out and see new places and I had been given straw to eat in case I got hungry along the way. 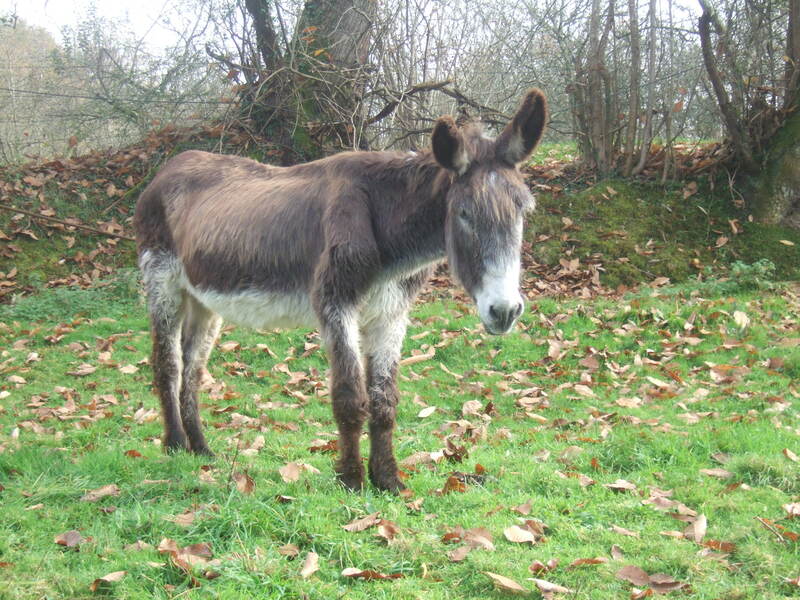 I arrived at Paraiso Del Burro and was lead out into the field. I took a long look around and then I saw some donkeys in the distance. They approached to greet me. One was called Joep and the others were named Norbert, Thesa, Kees, Claar and Grietje. They took me on a tour around the place and told me the daily routine of what happens here. It sounded so good, I felt so overwhelmed by it all. 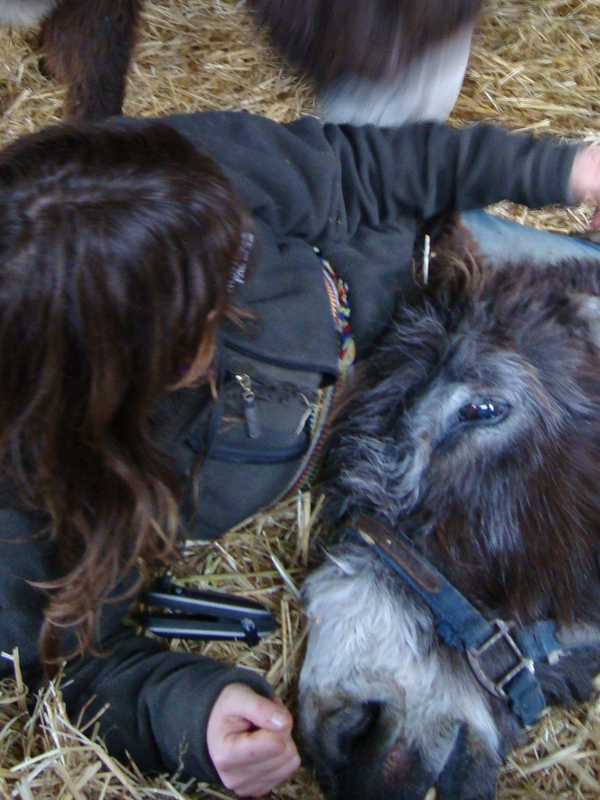 I fitted in straight away because of the friendliness of Marleen, the volunteers and my new donkey friends. My life could not get any better than this. We get alfalfa in the morning, and then we go out and wander around the fields for the day, eat grass or have a sit down and rest to take in the beautiful view. In the evening we are brought into the stables and we each receive a bowl of food which consists of apples, carrots, ginger, beetroot pulp, bran, sunflower oil and grain. After we eat our food they fill up the feeding troughs with straw and refill our water buckets. Then we rest for the evening. I have been here four years now and over those years some of my friends have died of old age and more donkeys have come and as we have become a bigger group the volunteers built another stable to give us all enough room to live comfortably. One of my favourite days is Monday as my good friend Lynn Waterhouse comes to brush us. I love to be brushed and especially getting my ears and face massaged. Lynn is so kind and gentle and I always stand there in the field while she does this. I have been nicknamed “Jippy the hippy” as I have a long haired coat and some of the hair on my lower belly and legs started to get dreadlocks, because of my legs being tender and sore I do not really like my hair to be brushed there. During the summer two of the volunteers here, Ineke and Dean Kincaid had the job of cutting off my dreadlocks and trimming my coat slightly, so now I am back to being called Jip again. The farrier Mariano comes every week to clip our hooves. When it is my turn I do not really like it and because of my Osteoarthritis, it hurts my beck legs for them to be touched and held when my hooves are clipped. So I kick out really fast for Mariano to stay away. We, donkeys can kick backwards and sideways also. I am pretty quick and fast for an older donkey!!. Mariano said I am like “Jackie Chan” and I took this as a compliment. Over time I have allowed Mariano to clip my hooves as I trust him and he allows me the time to offer my legs to him without force. I do not mind the treatment so much now as he likes to sing to us while he is at work and I know he would not hurt me. As I have said before I do have stiff muscles and tendons so Mariano had to fit horse shoes on in order for me to straighten my back legs more and to help me to walk better. It seems to have worked. 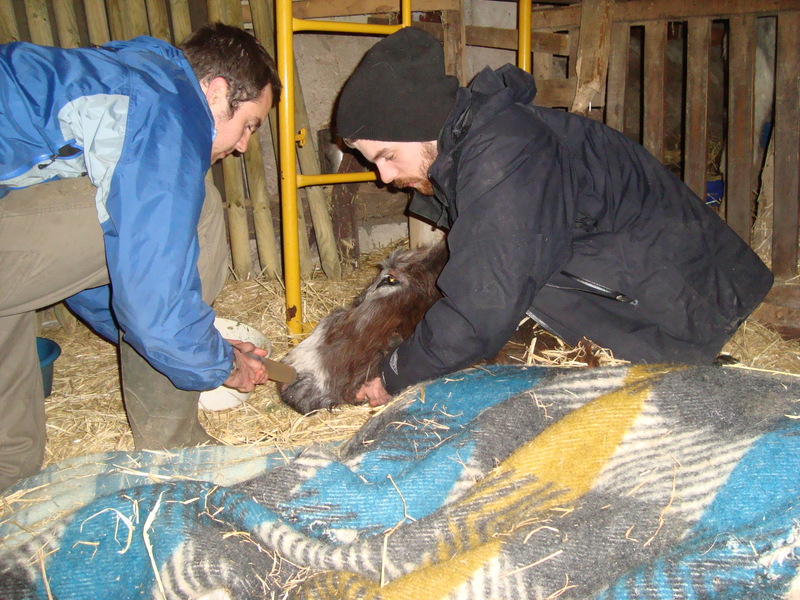 A few weeks ago I got an infection in my hoof so Mariano and the vet came to look at me. It was painful and I was given medication for that. The infection was so far up in my hoof that the vet had to clean it and wrap it up as to not have further infection. I did have difficulty in walking. One night I fell in the stable. Marleen, Catherina, John, Alan and Michael all helped in lifting me up. I did end up injuring my front leg when I fell. During the days that passed I was unable to stand at all. My legs were so weak and all the volunteers would help me up to sit and eat. They tried in helping me to stand but I am a big donkey so Michael found a new way to lift me up with the use of scaffolding frame and very strong ropes to suspend and support me. This seemed to work well to begin with and I could stretch my legs and try to stand while being completely supported. Everyone came to help me to get up and get the straps on twice a day but I began to notice myself I was becoming weaker and weaker. I tried so hard, mentally I knew I was strong enough but physically my body was spiraling towards not being able to overcome this. I am old. I am the oldest donkey here and with all the love, help and attention that has been given to me here, my body just could not do it anymore. It is my time to go and as I lie here now with Catherina writing my story, I ask her not to be sad for me and it is time to let me go. I have had such a good life here. I will miss my friends but it is Survival of the fittest and nature is calling me. Volunteer worker at Paraisio Del Burro.